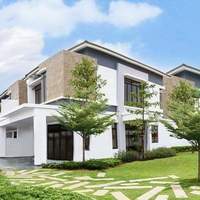 Bandar Mahkota Banting (also known as Bandar Baru Mahkota & formerly known as Bandar Baru Brooklands) is a freehold town located in Banting, Kuala Langat.The built-up available in this town is 1,100 sf for houses. It was developed by Lion Group with a launch price at around RM140 psf. Lion Group is a large-sized real estate group, and it has constructed around 21 real estate projects in Malaysia. Other similar projects by the same developer are Bandar Bukit Mahkota and Mahkota Hills. This town is not very ideal for own stay or investment, because it has no amenities nearby. The current market prices for Bandar Mahkota Banting are from RM220,000 (about RM200 psf) for houses; while the monthly rentals are from RM700 to RM1,000 (about RM0.58 psf) for houses. The highest median price psf ever recorded was RM358 psf in Q3 2017 (House); while the lowest one was RM170 psf in Q4 2013 (House). The most popular layout and size combination at Bandar Mahkota Banting for houses is 3-bedroom / 1,100 sf with a median price of RM200 psf. 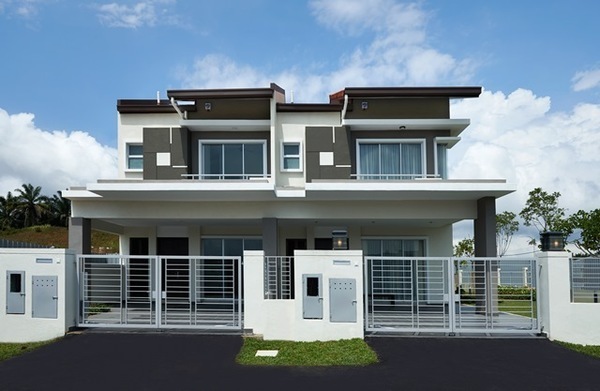 For price wise, the most expensive one is 3-bedroom / 1,100 sf with a median price of RM200 psf; while the cheapest one is 3-bedroom / 1,100 sf with a median price of RM200 psf.